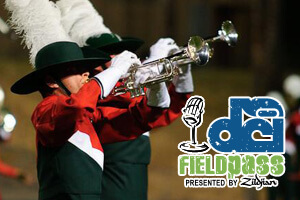 As the entire drum corps community looks ahead to the New Year and the summer of 2011, this week, Drum Corps International recaps some of the highlights of 2010, today with the most listened to episodes of DCI's popular Field Pass podcast. 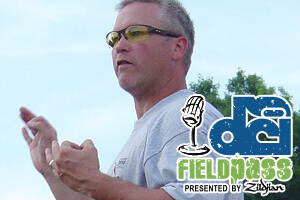 Check out all 51 episodes of the Field Pass from 2010. 1. Semifinals Friday 2010 Friday, Aug. 13, 2010: Hear Phantom Regiment's special pre-show "tunnel" entrance up-close and get reaction to Thursday's World Class Quarterfinals in today's Field Pass presented by Zildjian. 2. Little Drummer Boy Thursday, July 8, 2010: Imagine a 12 year old throwing strikes on Albert Pujols. Or serving an ace against Serena Williams. In our world of drum corps, that's essentially what happened last week during an educational clinic given by the reigning DCI World Champs, the Blue Devils. 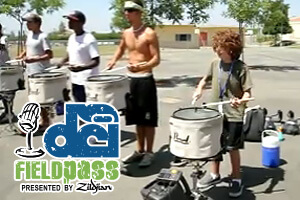 Dan Potter explains in today's Field Pass presented by Zildjian. 3. Vanguard's 180-degree turn Wednesday, July 7, 2010: In a 180-degree turn from last year's fan-favorite "Ballet for Martha," Santa Clara Vanguard is taking lots of risks with its 2010 production "Bartok." As Dan Pottter hears from SCV arranger-composer Key Poulan in today's Field Pass presented by Zildjian, taking risks is all part of living up to the Vanguard name. 4. I wish I may, I wish I might, see Star again this Friday night Tuesday, Aug. 10, 2010: One of the most highly anticipated special events of World Championships Week is this Friday's post-Semifinals performance of the 180-member Star of Indiana alumni corps. 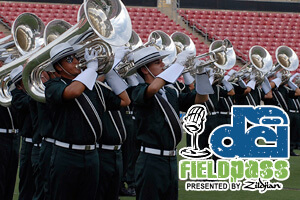 Mike Ferlazzo reports from Star Alumni's rehearsal in today's Field Pass. 5. The Men of Madison Wednesday, June 30, 2010: The Madison Scouts are out to re-establish their brand this summer and they've brought on former Star of Indiana and "Blast!" director James Mason to help them. 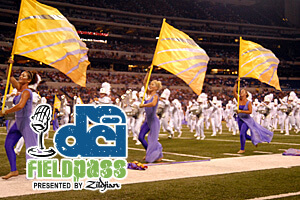 As we hear from Dan Potter in today's Field Pass presented by Zildjian, that means fans are enjoying a resurrection of the Scouts' power and masculinity, traits which won the corps two DCI World Championship titles in the past.